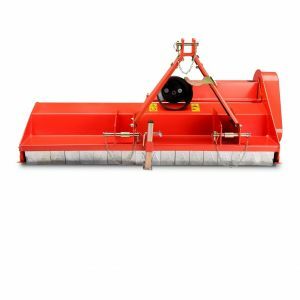 This 5 FT Heavy Duty Finishing Mower is ideal for property where a clean cut and smooth finish is required with low to medium horsepower tractors. 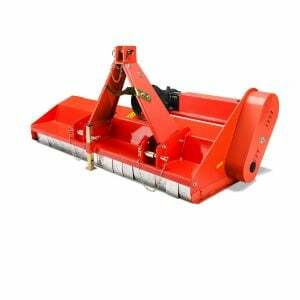 It is designed to cut grass between 30mm and 80mm in height, which can easily be adjusted via 4 sturdy castor wheels. They’re very easy to operate, making them great for large areas such as golf courses, sport grounds and gardens. 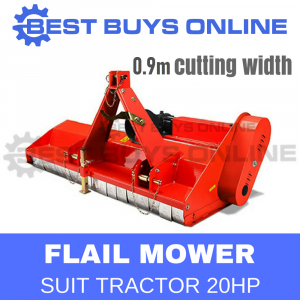 It is a greate alternative to a ride-on mower by offering a range of cutting widths. EASY OPERATION: The mowers follow the tractor easily, even in tight steering enrironments like golf courses, garden areas, etc. RELIABLE & PRECISION CUTTING: It delivers accurate and consistent mowing. 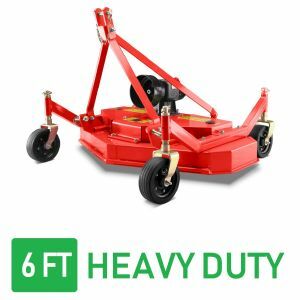 Four solid wheels make height adjustment easy and allow the deck to float with the ground contour for even cutting, providing a quality finish. Attach the finish mower to your tractor and take care of your lawns with ease. Designed to meet Australian Standards and imported by one of Australia's most reputable companies, you'll be happy when you buy this 5FT FINISH MOWER. High grade steel & treated cut blades for longer service life.